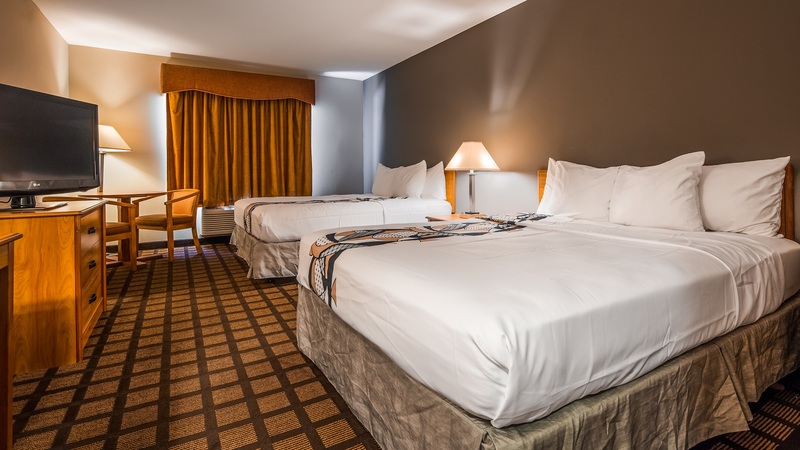 Best Western Inn & Suites Midway Standard King rooms offer you a special treat in the form of a plush comfort complete luxurious King size mattress which comes with quality bed linens and lots of pillows so that you and maybe a special someone can make the most of your stay with the BW Midway. Whatever brings you to our area, be it pleasure, a family event or business our Standard King rooms are a great place to rest and relax between family events, touristic outings or business meetings. 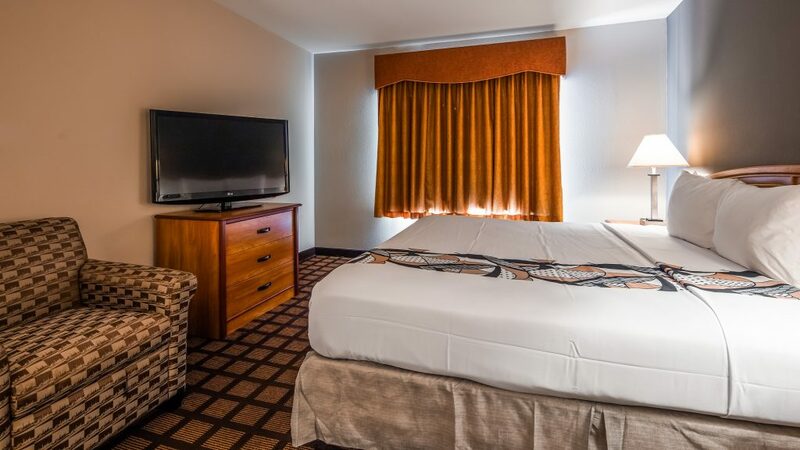 Life can be hectic but when you stay in one of our Standard King Rooms you’ll want to kick back on the comfortable mattress and catch a movie or catch up in some episodes of your favorite TV show on our standard Flat Screen TV’s. Got work to do and people to chat with, no problem, our standard in-room Free WiFi makes it easy to post the days events on Social Media. 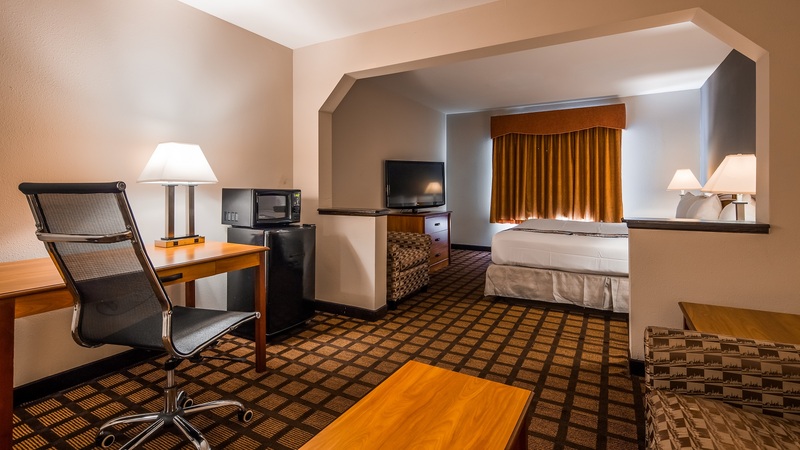 You can use provided writing desk to fill out a few postcards, catch up on e-mail or do online booking of your next day’s activities, all from the comfort of your room.